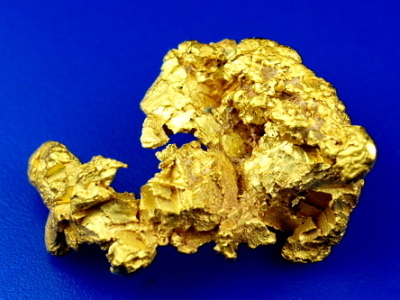 This one is a really interesting crystalline gold nugget found by a friend of mine in Oregon. He used a Minelab metal detector to dig this beauty, and was pleasantly surprised to say the least. I wish I had a picture with something for size reference, but I believe it weighed around 1/4 ounce, so a nice chunky piece of gold with a very unusual shape.